Here in Alberta, when we think of lawsuits, we are inclined to think of our litigious neighbours to the south before we think of ourselves. But when a wintry slip and fall accident occurs on your commercial property in Calgary you’ll find yourself rapidly worrying about our local lawyers. The Supreme Court of Canada’s case law makes it abundantly clear that the “occupier,” that is either you, the homeowner, or you, the commercial property owner (or both), is responsible for taking reasonable proactive steps to try and ensure the safety of visitors against foreseeable risks of injury. During the unpredictable winters we have in Calgary, this means home and commercial property owners are required to promptly manage snow and ice hazards on their walks and parking lots. 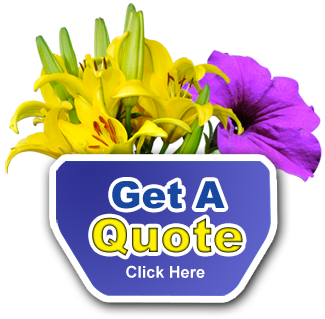 Mirage Landscaping of Calgary has been in the injury prevention business for over three generations now. Larger personal injury firms retain trained engineers and investigators to descend upon your property and determine the conditions present during a slip and fall accident, and are retained to record and generate evidence, or “proof” that you weren’t making reasonable attempts to make your property safe against accidents. What do you get by hiring a professional snow removal firm like Mirage Landscaping? The first is a primary piece of evidence that you were making reasonable efforts to control snow and ice on your commercial property, which comes in the form of our written service contract. We stand behind our work, and our clients, and are fully insured, complete with legal coverage. We make every effort to meet the frequency and/or accumulation targets in your snow removal contract, and in addition to these basic requirements, you know that we are always going to employ industry best practices for snow removal, for example, we never pile up snow to block the vision of motorists making ingress/egress on your property. We instead identify where the best drainage area on your lot is and pile the snow there, if possible. Even if your own efforts can keep the lawyers at bay, and your parking lot clear, you have to ask yourself, “at what cost?” If, like last winter, that isn’t enough available parking lot to keep up with the mountainous plowing accumulations, do you know which snow dumps are still accepting deliveries? Did you know that last winter Calgary closed its municipal snow dumps during the worst of the snowfall? By contrast, Mirage Landscaping of Calgary will begin hauling snow away to a snow dump that is still open if that’s what it takes to keep your business open and safely operating through the winter. If you want to remove the uncertainty from your commercial property snow removal efforts, or simply stop having to do it yourself, contact us for a free quote. 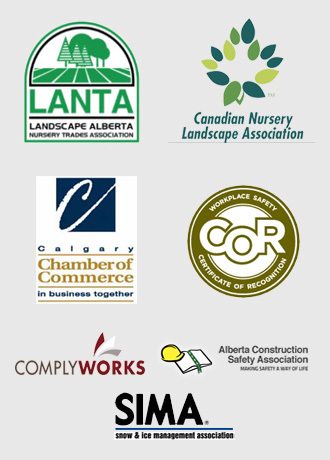 If you don’t want to be getting 48 hour notices from the City of Calgary, or exposing your business to risk, contact us. We have the expertise, the manpower, the machinery, and most importantly, the unwavering commitment to professionalism to convince anyone that you – and us – have made all possible efforts to keep your premises as safe as possible through the winter.